This is the prototype we created in in school as our very first development project. 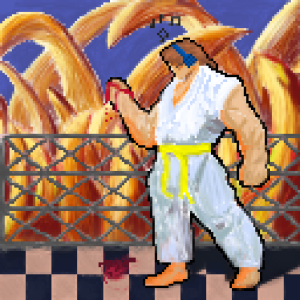 You control your fighter Johnny McJohnnson by hitting the directions on your keyboard. In menu press "x" to confirm. I know pretty complex. For any suggestions, critics or questions about my personal relationships and any existencial questions feel free to comment.